Displayed: Air Force (Army Avialable). You must submit an unaltered photocopy of your DD-214 displaying your award of the Missile Badge. 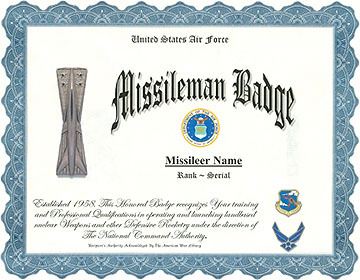 Click for larger image The Missileer Badge was authorized in 1988 (retroactive to 1950), discontinued in 2005 when replaced by the Space Badge, and reinstated on 06 June 2008. 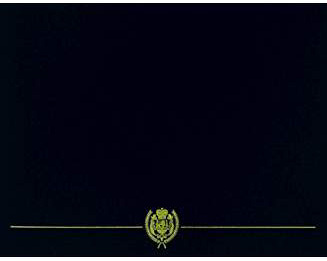 It is also authorized to all ICBM crews and other specified missile specialty professions.